If you’re a popular science fiction writer, chances are you’ve been inundated with requests in the last few days. People–sometimes fans, sometimes total strangers–have been asking you to write micro-fiction. The more famous the writer, the more such requests. So what’s going on? There’s an actor named Misha Collins (a star of Supernatural TV series) who runs a very popular Internet scavenger hunt called GISHWHES — or Greatest International Scavenger Hunt the World Has Ever Seen.” Teams of players race to complete fun and wacky tasks, such as snapping a photo of elderly people mud wrestling, staging a water balloon fight set to opera music, etc. They score points for each item completed, based on the difficulty of the challenge. 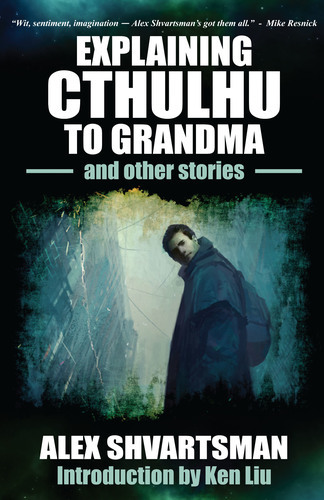 Get a previously published Sci-Fi author to write an original story (140 words max) about Misha, the Queen of England and an Elopus. An Elopus is sort of like a Cthulhuphant — half elephant, half Octopus pictured in their logo above. For fairness: nobody nohow. RT @myqroft: For clarity: you won't help *anymore* #GISHWHES participants, or you won't help *any* participants? I don't know what a Gishwhish is but I can't help with that guys, sorry. Good luck. And those are the polite tweets. Some authors are quite mad at Misha for doing this. Personally, I’m of two minds about this. On one hand, I feel that Misha has done nothing wrong. No one is forcing any writer to participate in this exercise. It’s completely voluntary, and many of my colleagues welcomed the chance to help out the contestants while picking up a few potential new readers/fans. On the other hand, I feel strongly that writers shouldn’t be expected to produce commissioned stories for free. Even tiny little micro-stories of under 140 words. It may not take very long to write one, but a good writer spent years polishing their skills and there’s value in that. Also, there are other important things they could be doing with that time. This afternoon I stumbled upon a brilliant post by Michael A. Burstein whereupon he offered to write these stories in exchange for at least one team member picking up a copy of one of his books. This seemed like a very fair and rational way to approach the situation, so naturally I stole it. * I will write a Misha story for free for anyone who is already a backer of my campaign. * If anyone wants one who isn’t a backer, all they have to do is pledge $10+ to the campaign, and they will get a micro-story for their team out of it AND all the rewards that go with whatever level of pledge they select. This worked out really well. Over the course of the evening, I managed to adopt a total of four GISHWHES teams. I already wrote and sent stories for the first three teams (and I must say, I’m pleased with how those stories turned out!) Going to write the fourth tomorrow, and any more that come in (a couple of other folks expressed interest.) I also raised almost $100 extra for my campaign, and exposed it to a whole bunch of new readers because so many people were kind enough to retweet my offer. My offer is still open to interested GISHWHES teams. And there are other options, too. Lots of other great writers are willing to work with you — including the above-mentioned Michael Burstein, and Nathaniel Lee, who is the master of micro-fiction! So please, take advantage of our skills and our imaginations. So long as there’s a fair quid pro quo involved. This entry was posted on Tuesday, August 5th, 2014 at 12:28 am and is filed under Craft of Writing. You can follow any responses to this entry through the RSS 2.0 feed. Both comments and pings are currently closed. What a clever solution. Does that mean your stories might never be read by anyone but the team?